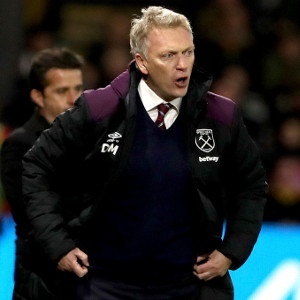 Cape Town - David Moyes has advised Everton caretaker David Unsworth to leave the club and cut his teeth in the lower divisions before seeking a permanent Premier League job. Unsworth has been in charge of the Toffees since Ronald Koeman was sacked in October, and is still hoping to get the job on a permanent basis despite losing five of his seven matches in charge. "If he doesn't take the Everton job I think I would tell 'Unsy' to go and manage somewhere and earn your corn,'' said Moyes. "If you want to move on go and get a job in the Championship or League One. I still believe the best thing to do is to go out and trust yourself to win a few games wherever you go. Unsworth had previously acted as caretaker following the departure of Roberto Martinez at the end of the the 2015/16 season, and usually manages their U23 team. "I think one way or another David Unsworth will still be hoping he will still be Everton manager, and why should he not be? He has to do that,'' Moyes added. "But if he doesn't get it, he has done a very good job with the under-23s. "He won the league last year, they are up towards the top of the league and you look at the players Everton are bringing through, the Tom Davies' of the world, and a few more. Moyes, now in charge of West Ham, will face Unsworth when the Hammers head to Goodison Park on Wednesday. Kick off is at 22:00.